Understanding the truth behind the benefits and side effects of natural health care supplements is important if you want to maintain your health. Even though most marketers claim that their product is the best, you must understand not all products available in the marketplace are the same. When buying a product you must select a supplement that is best for your body and workout goals. Some supplement can also have an adverse effect on your health. For example, taking supplements can increase your heart rate and blood pressure. So make sure you understand the drawbacks and benefits of a product, before you purchase it. In this article, we will discuss the benefits and drawbacks of a few protein supplements available in the marketplace. Ingesting protein powder is not sufficient to build muscles. The muscle must be worked for it to receive protein. Also, ingesting more protein that your body needs can increase the stress on kidney and liver, which can damage them. Ingesting protein not only helps in repairing muscle tissues, but also aids in the development of enzymes and hormones. This helps in development of skin, blood, cartilage, and bones. Most health experts consider protein to be a safe and effective means of building body mass. However, it must be taken in conjunction with your workout and in proper measure. The amount of protein powder you can take should not be more than a gram for each pound of body weight. For example, if you weigh 200 pounds, you must not take more than 200 grams of protein powder in a day. Also, you can take protein powder multiple times during the day by mixing it with juices or shakes. The best time to take protein is before your workout, as proteins feeds your muscle during workout and helps in rebuilding muscles after a workout. Essential amino acids are not produced by the body and must be taken from food sources. While, non-essential amino acids are produced by the body naturally. The dosage of amino acids will depend on the type of amino acid ingested. Usually, one to one-and-a-half grams of powder taken two to three times a day is considered sufficient. Taking amino acids before or after a workout will help in repairing and feeding muscles. The type of amino acids you must take will depend on your fitness goal. For instance, if you want to take amino acids to promote muscle growth, you can take leucine, valine, or isoleucine. On the other hand, if you want to take amino acids to increase body energy, you must take glutamine. This hormone is released naturally by the pituitary glands, which is located in the brain. Human Growth Hormone (HGH) is responsible for developing muscles, providing energy, and repairing muscles. Most supplements that contain HGH or boost the production of HGH are unproved and must be taken only after consulting an expert. Also, take HGH supplements can increase the risk of serious health problems like cancer. The reason why many people take HGH supplements is because the hormone starts depleting in the body after the age of 30. In some people, HGH can deplete by up to 75 to 80 percent. HGH supplements must be taken after consulting an expert. Since it is unapproved and has several serious side effects, it is recommended that you take the supplement only when extremely necessary. The benefits and effects of creatine are highly debated, as many studies have not been conducted in this area. However, many experts caution against the use of this natural supplement. The liver, pancreas, and kidney produce about 2 grams of creatine everyday. Creatine produces a molecule Adenosine Triphosphate which is responsible for providing energy to the muscles. When you start taking creatine, your weight may increase initially. This weight gain is not increase in muscle mass but water weight. However, you can lose these extra pounds if you exercise regularly. Studies have shown that creatine helps in improving the performance of athletes, but the side effects of this natural supplement are not yet known. Since the potential benefits and side effects of creatine are not proved, it is best that you take creatine only after consulting an expert. Those who take creatine, use pills or mix powder with juice, water, and shakes. Glutamine is a non-essential amino acid that is produced in highest quantity by the body. This amino acid is responsible for development of glucose, which provides energy. It also helps in building and maintaining muscle mass and helps athletes recover from their training. At times, intensive training can deplete glutamine levels in the body. If the levels of glutamine deplete in the body, you can replenish glutamine levels by taking supplements. Studies have shown that taking 5 grams of glutamine after intense workout and 5 grams two hours after workout has shown positive results. However, it is best to consult an expert before taking glutamine. What Makes Vietnamese Cuisine So Popular? Vietnam features more than 2,000 miles of coastline. Throughout its history, fishing and farming have been the primary means of subsistence for much of Vietnam’s population. 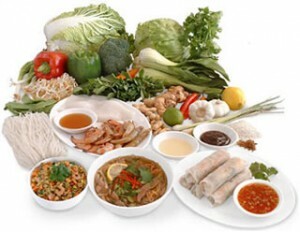 During its early years under Chinese rule, many of the culinary traditions and spices used by Chinese chefs became part of the Vietnamese style of cooking. Traders, militia members and colonists from France during the latter half of the 19th century also had a significant impact on the cooking methods and spices used in Vietnamese cuisine. The availability of fresh fish and seafood has been a constant factor in the evolution of this ancient culinary style. These spices are often combined with fish or chicken to create unique and delicious sauces. Fish sauce is by far the most often used condiment and culinary ingredient in Vietnamese savory dishes and can be combined with a wide range of fruits, vegetables and meats to enhance the flavor and to provide the characteristic scent and taste associated with Vietnamese culinary traditions. One of the most delightful surprises in Vietnamese cuisine is the banh mi, a classic sandwich that incorporates fish, pork and vegetable fillings inside a traditional French baguette. Banh mi sandwiches are served throughout Vietnam on street carts and in smaller restaurants and represent a staple in the casual dining environment of the country. The meat broths used to create pho are also a legacy of the French occupation of Vietnam. Before then, most broths were constructed of fish and chicken rather than beef and pork. The culinary styles practiced in northern Vietnam owe much to China. Stir fried rice, vegetables and meats are much more common in this region of the country and are often paired with sauces similar to those used in traditional Chinese cooking. Fish and chicken are popular ingredients throughout the country. In the southern regions, however, these elements are typically combined with coconut, lemongrass and other spices popular in Thai and Cambodian cuisines. The ready availability of cane sugar in the south of Vietnam may also account for the sweeter and lighter taste of dishes associated with this area of the country. The ready availability of fresh vegetables, fruits and rice ensures that these ingredients appear frequently in the classic dishes of the Vietnamese culinary tradition. Dietary experts also extol the health benefits of this light, low-calorie cuisine in preventing obesity and reducing the risk of various maladies. Incorporating Vietnamese dishes into everyday meal planning can provide a delicious alternative to the same old routine and can expand culinary horizons for the entire family.